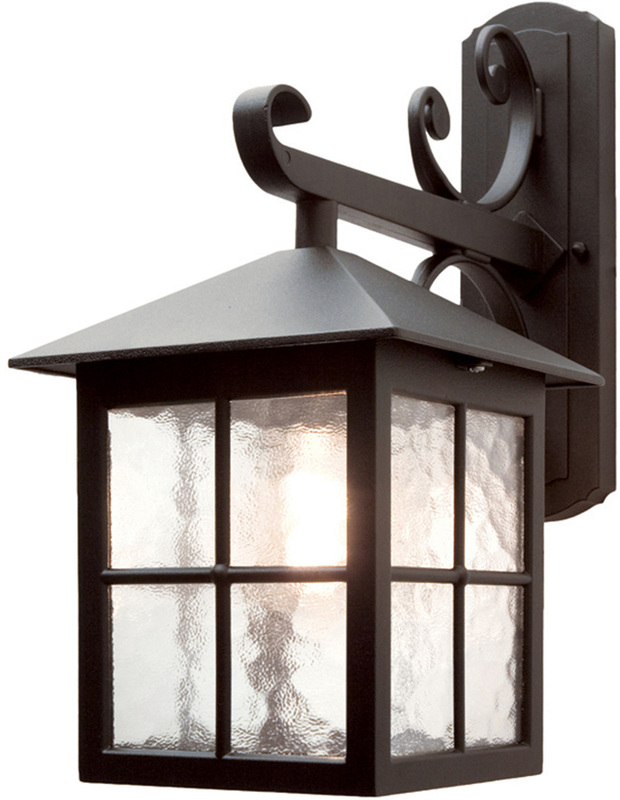 This Elstead Winchester scrolled mount 1 light outdoor wall lantern in black with rippled glass and rated IP43 features traditional English style, heavy double scrolled wall mount and square lantern, with cross window bars and rippled glass. The wall mount is cast, with braced scrolls for an authentic look. Part of the Canterbury outdoor lighting range, a quality cast aluminium outdoor wall mounted lantern with five year anti corrosion guarantee. A corner bracket is available to mount this wall light on the corner of a building, please see the EL-C/BKT2. There are matching fittings in the Winchester outdoor lighting range, please see below. 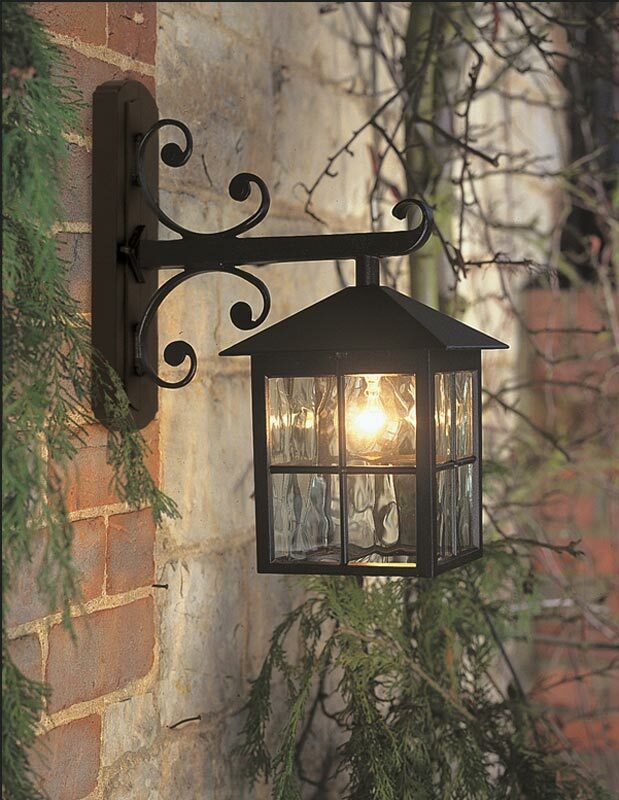 This exterior light is supplied by Elstead Lighting, a British company that specialise in the manufacture and distribution of quality decorative lighting such as the Winchester scrolled mount 1 light outdoor wall lantern in black with rippled glass and rated IP43 you see here.